It was a shock to learn that Daniel didn't play with his Island Fishes. Daniel was "the local mister suitcase", and had the strongest collection of all of us. Among his gems where two Lord of the Pit, Force of Nature, Keldon Warlord, and even a Colossus of Sardia. My older sister had opened a Gaea's Liege in her first Revised starter, and Daniel had offered her a choice of two Island Fish Jasconious, or a misprinted fish with a big red ink-dot on the card. After some deliberation she decided to trade her Liege for the misprinted one. We hence knew that Daniel owned two more, which for some reason wasn't in his deck. It was a huge 6/8, and few cards could compare to it in size. Daniel argued that he simply had too many of the great creatures, and it wasn't good enough to get a spot. After input from Marcelo from Brazil, I've added a page with upcoming gatherings/tournaments in 93/94. You can check out the page in the side menu. If you want to add a local tournament to the list to spread the word about it, feel free to send me an email and I'll post it here. Local interpretations of the rules are very welcome, and I don't mind posting about small gatherings where e.g. you're four local players looking for a fifth. The requirements are that the gathering/tournament should be played without proxies, and that you send some pics or a short report to post e.g. here or at Eternal Central for the joy of the community. So, this was a very short info post. We'll wrap up with a pic of our latest BSK winner Hagelpump, contemplating an attack with Ywden Efreet in 2008. 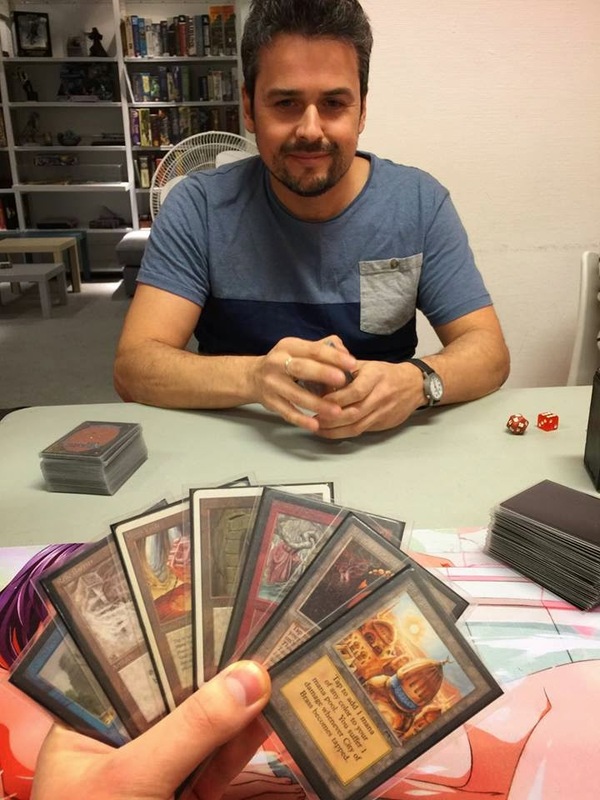 Today I have the pleasure to post a tournament report from Erik "Sehl" Larsson. Sehl's first year playing 93/94 has been very impressive, and he has tested multiple different decks in tournaments across Sweden.Two weeks ago he took his latest creation to the win at Vasa Gaming. Enjoy! Most old school players would call Zak Dolan's win at the 1994 World Championships a fluke. Zak was by no means a bad player, and his deck was very solid, but his opponent was one of the first "next level" Magic masters. Zak's opponent in the finals, Bertrand Lestree, was known as "the best European player" by most, and as "the best player in the world" by some. 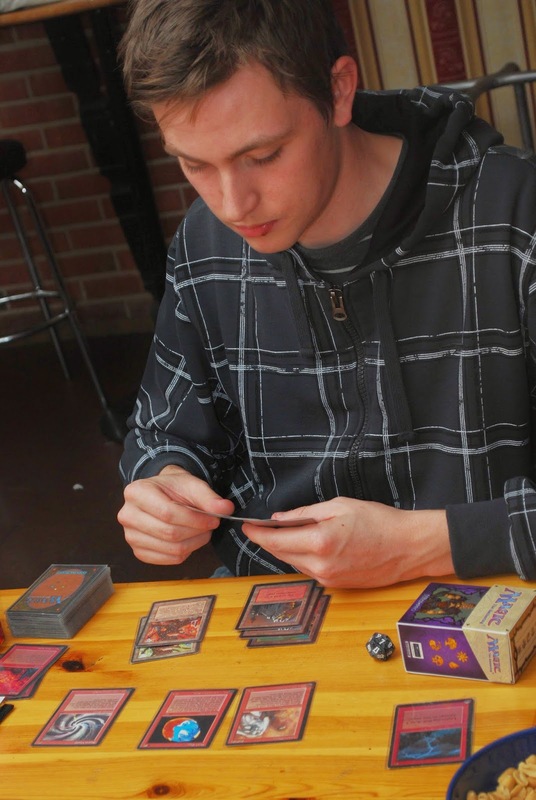 He was one of the first great deck builders, and a very strong player to that. 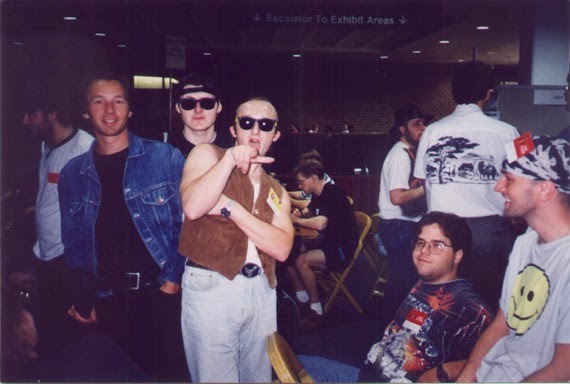 Lestree followed up his second place at Worlds 1994 with a second place at the very first Pro Tour, but his name eventually faded into Magic obscurity. It was time to try something new. A few months back, I got my hands on a Mox Emerald. This was mostly to get my stripes and complete the Nine. Apart from some dabbling with Vintage Oath in 2005, back when Akroma was the prime Oath target, I've pretty much never used a green Mox. Green/White in particular is the color combination I've played with the least, with a fairly large margin. In over 20 years of Magic, I've only ever owned a single Savannah (I won that and a Plateau in Legacy tournament playing monoblack Necrotic Ooze, and then used it in a 115-card casual Elemental deck before I sold it). But there I was, with the luxury problem of having a green Mox in my collection without a deck to play it in. It was time to go MonoGreen. Last weekend Playoteket hosted their second 93/94 tournament. The attendance had grown since September, and a lot of new tech was represented in the wake of BSK. The eventual champion was none other than our artistic friend Felipe Garcia. This is his story. Enjoy! When I moved from Spain to Sweden I thought I would deeply miss the old school booster drafts from Sevilla's Vintage scene. We used complete collections of CE Beta, Arabian, Antiquities, Legends and Dark to create boosters and play 8-man drafts. The games were surrounded by beer and an amazingly fun ambient. "Worzel felt the telltale prickling at the back of her neck; her domain was being challenged!" 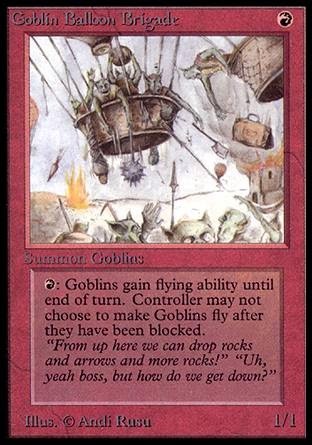 Magic rules used to be fairly fluid. The idea was that players would find their own interpretations on how to play. Many cards were intentionally worded ambiguously to force players to make their own conclusions. The rulebooks noted that you should discuss your interpretation of the rules whenever you played with someone outside your local playgroup to "make sure that you play the same game". When I started, we e.g. though that "X" represented the roman numeral 10. In hindsight, that may not the brightest of interpretations. 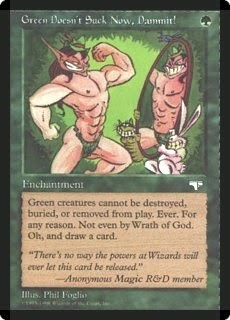 I still played with Word of Binding in my deck though, as the Ron Spencer art was far to sweet to pass on. Today we have a guest report from Kristoffer "Myfz" Karlsson, finalist at BSK and all-round good guy. Enjoy! That's how the soon to be nine part long Star Wars saga begins, or at least the first six episodes. This nine round 93/94 story starts in April of 2014 when I first started to play Hearthstone. After a few hours I realised that it was Magic I really wanted to play. Every move I made in Heartstone made me longing for turning real cards sideways instead. So after a 2 year long break from Magic, and with no cards left but my black 93/94 deck (without Juzam and power), I embarked to svenskamagic.com to check how things were going. I set out to build a cheap deck for Legacy to pass the time while waiting for some new 93/94 tournaments.